Join us for a look at the Santa Fe in its final years. 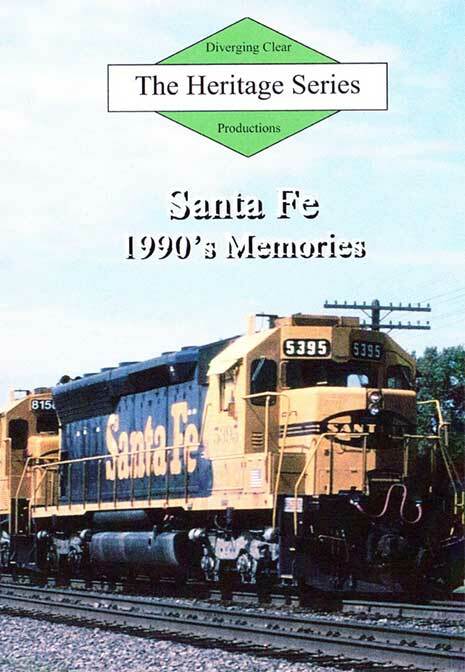 Filmed between 1992 and 1995, this program visits the Santa Fe's eastern end at several locations in Illinois, Missouri and Iowa. The show starts at Edelstein, Illinois, where trains are seen both in town and on the hill east of town. Other locations include Bucklin, Missouri, and Fort Madison, Iowa. A quick visit is also made to Hannibal, Missouri, where the Gateway Western is seen under Santa Fe control. 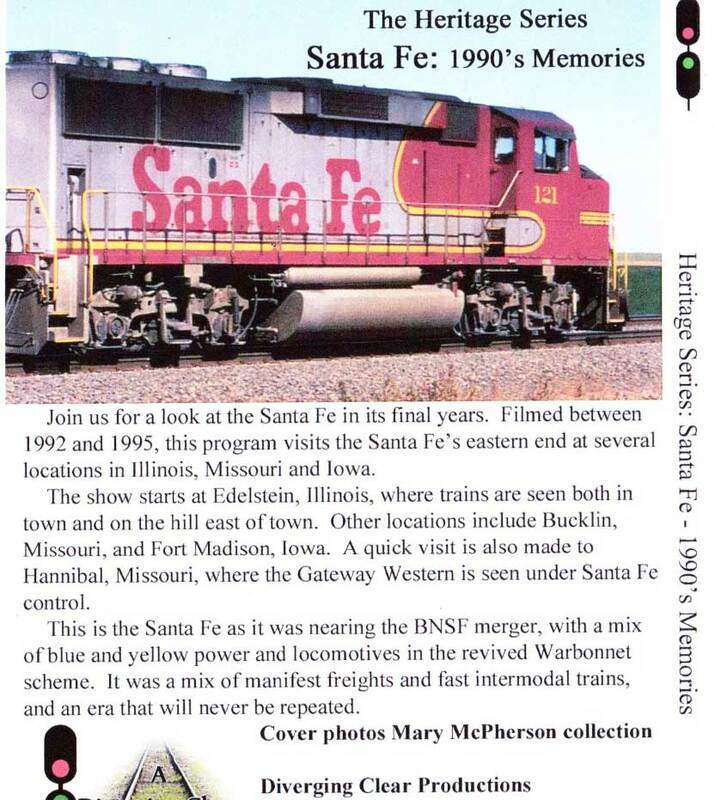 This is the Santa Fe as it was nearing the BNSF merger, with a mix of blue and yellow power and locomotives in the revived Warbonnet scheme. It was a mix of manifest freights and fast intermodal trains, and an era that will never be repeated.